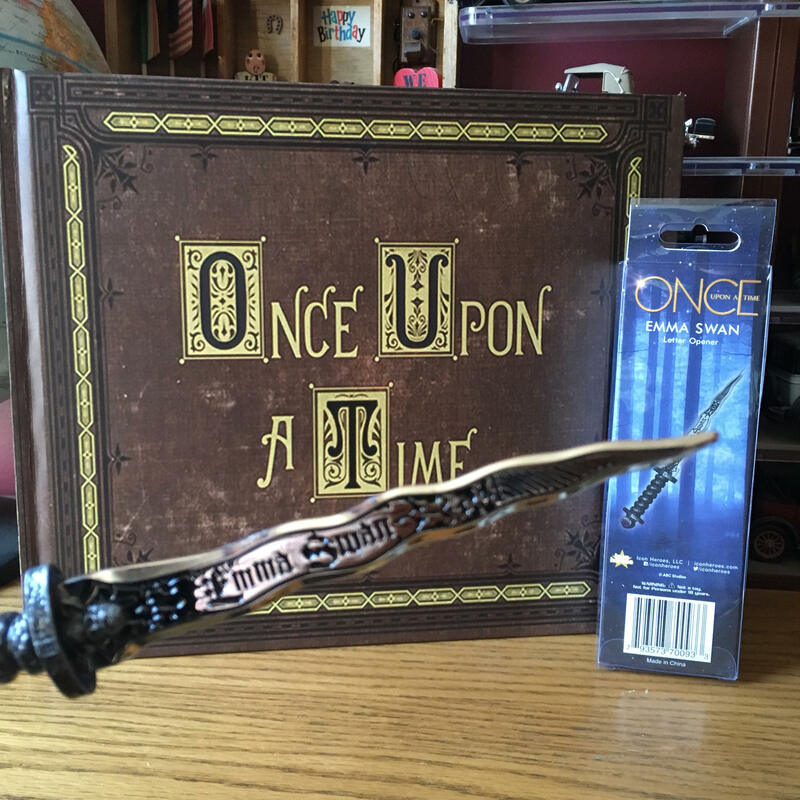 *For a limited time (while supplies last) receive a rare BONUS Icon Heroes "RUMPLESTILTSKIN" OR "EMMA SWAN" Dark One Dagger Px Letter Opener with the purchase of this custom made book for a special combined price, makes an amazing gift for any OUAT fan! 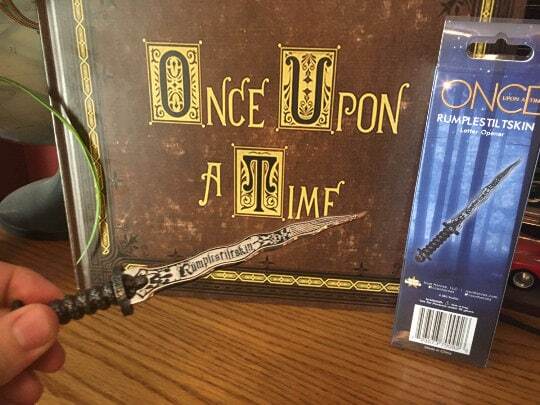 Choose Rumpel or Emma dagger with 82 pages of stories and pics & no blank pages OR choose 124 pages with same 82 pages of stories and illustrations plus a bonus 42 blank pages for signatures and scrapbooking making the book thicker and heavier just like Henry's! Whoever holds the dagger controls the dark one! These letter openers are hard to find and ours are NOT SOLD SEPARATELY! This is a high-quality prop replica inspired by Henry's Storybook with 82 high quality, full color pages of over a dozen classic fairy tales with 52 beautiful illustrations similar to as they were seen on screen in Henry's book (note: some stories have been shortened and/or abbreviated to save on space, same as the book shown on screen, all 82 pages in this book are printed with public domain stories and illustrations). All stories are in the Public Domain and are the full original versions of; Little Snow-White by brothers Grimm, Snow-White and Rose Red by Andrew Lang, Maid Maleen, The Gnome, The Paradise of Children by Nathaniel Hawthorne, Hansel & Gretel by Bros. Grimm, Alice's Adventure's in Wonderland by Lewis Carroll, Little Red Riding Hood by Charles Perrault, The Three Little men, The Little Glass Slipper, Rumpelstiltskin as well as beautiful original artwork and additional short or abbreviated stories including: Peter Pan in Kensington Gardens, Pinocchio, Robinhood, a Mid Summer's Night Dream and more! 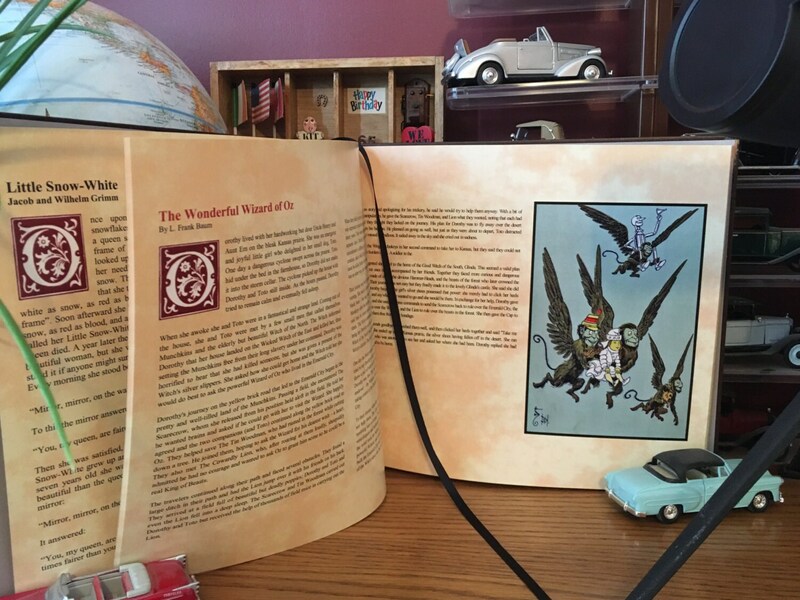 All stories and illustrations are placed in the order they were first shown on screen to be in Henry's book. 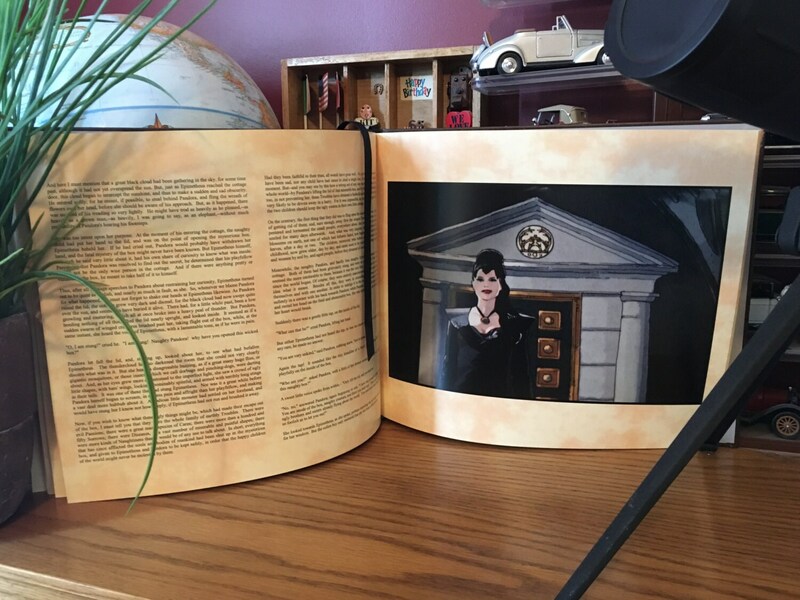 We have included everything shown to be in Henry's book from seasons 1 - 4 of the TV version. This is a large format landscape 13" x 11" size with a very high-quality hardcover that is much more realistic than many of the other interpretations available today. This book replica is printed on premium paper with a high-quality finish and is heavier and much more expensive than the economy papers used in most books of lesser value. 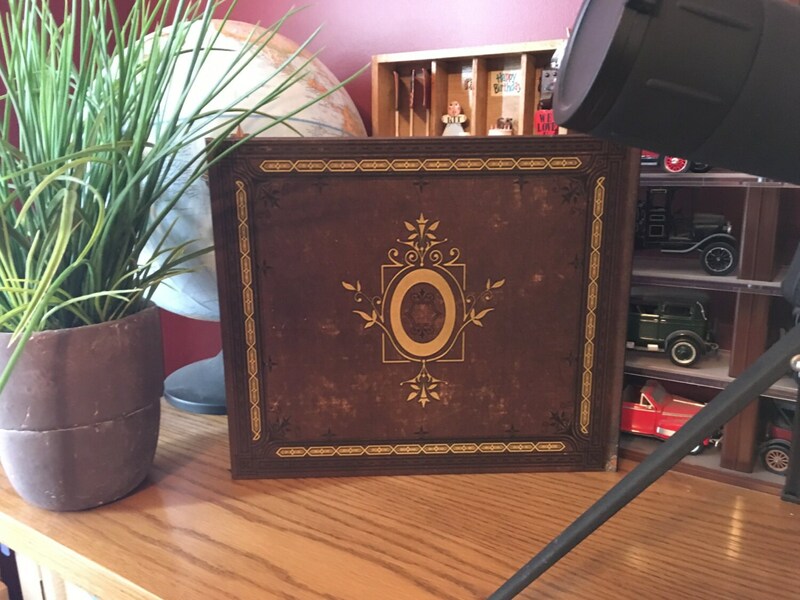 Now you can have your very own beautiful Once Upon a Time book of classic fairy tales just like Henry to add to your collection. This is a custom made to order item for collector's only that normally takes up to 2 - 3 weeks to produce. Please allow sufficient time for production and shipping. We will make every effort to produce and ship faster if possible. To fulfill your order, you must provide Etsy with certain information (which you authorized Etsy to provide to me), such as your name, email address, postal address, payment information, and the details of the product that you’re ordering. I may request additional information directly from you such as your phone number in order to complete delivery of your order. You may also choose to provide me with additional personal information (for a custom order of a personalized item, for example), by contacting me directly. We may store and process your information through third-party hosting services in Canada and other jurisdictions. As a result, I may transfer your personal information to a jurisdiction with different data protection and government surveillance laws than your jurisdiction. For purposes of EU data protection law, Etsy, is the data controller of your personal information. If you have any questions or concerns, you may contact Etsy at Etsy.com/help for assistance, or send a request directly to Etsy. The book was just as I hoped it would be. Perfectly made, and the pages were beautiful. It was a great addition to our collectibles/replicas. Aside from the book, the store was also very accommodating and helpful, making sure I got it on time for Christmas. Their responses were fast and they worked with me so well. Thank you again! We love it.